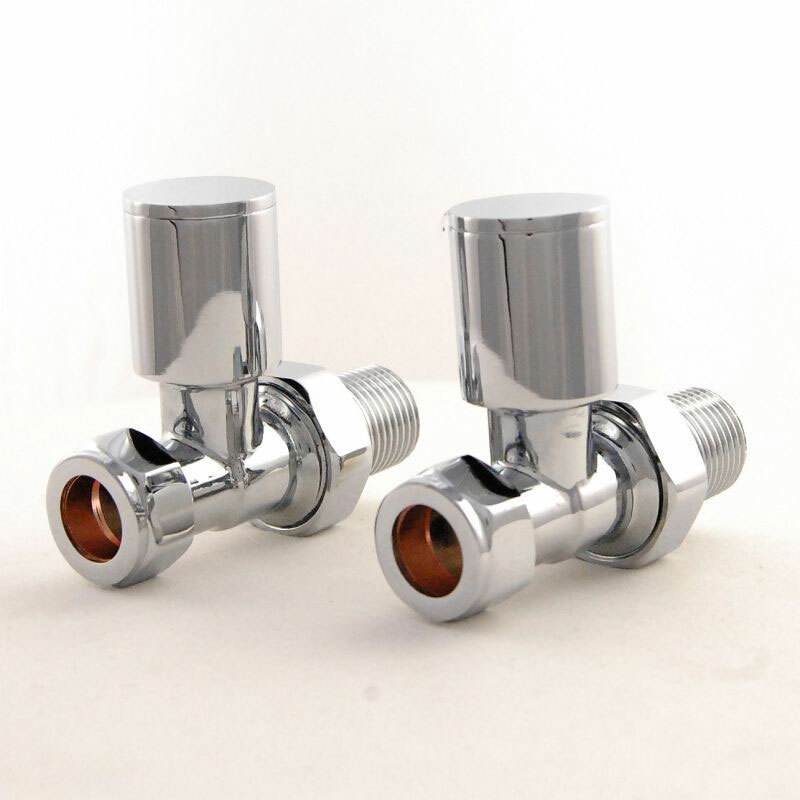 Radiator valves are an integral component of the radiator, allowing you to control the heat output so you can manually set the temperature of the room to one that is comfortable for you. They are essentially what connects your new radiator to your central heating system, outwardly. They do not come with the radiator and need to be chosen separately due to the fact that not all pipework is the same, so you need to choose a valve based on how your pipework is set up and the position of the valve inlets on your new radiator. And on your interior décor tastes of course! Radiator valves are either manual or thermostatic – but then come in a variety of shapes, sizes and finishes. Ensure that you choose one you like the look of, as the valve will be very visible and, in a way, completes the look of your radiator. They always come in a set. We have a selection of manual, corner, thermostatic and modern valves as well as straight, traditional, square and angled valves. We offer 10 types of finish as well, including stylish chrome, copper, black nickel and pewter.